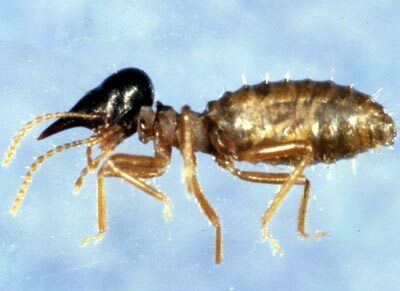 Termite Power: Alternative Energy Source? Some three years have elapsed since I first, rather by a fortuitous accident of circumstances, stumbled on the idea that termites hold the key to the next generation of alcohol production. I beg your indulgence as I here state the events as it may be of import for posterity to know the circumstances under which so much of scientific insight arises, namely, by serendipity. I had for the entire year of 2005 given much thought to the common production technologies of ethanol, namely microbial metabolizing of sugar, the next generation processes called the thermo-chemical pathway; as well as the search for the enzymes that would make the so called cellulosic ethanol production possible. Being more competent in physics and physical chemistry, my focus was naturally on the thermo-chemical process. However a colony of termites chose to build a nest near my home, and my wife sent me to dispatch the critters lest they decide to eat us out of our house, home and furniture at some point. Several weeks elapsed and in frustration, the kerosene oil and matches were thrust into my procrastinating hands by my determined spouse, along with a kick in the pants to get on with the task post haste. As I stood over the colony, it suddenly struck me that what termites do, namely digesting wood, held the answer to the holy grail of ethanol production, namely enzymatic metabolizing of carbohydrates to sugars. In a bout of sheer delirium I made my enlightenment known to my stunned wife. I then tried to get an audience with the Natural Sciences department of the UWI Mona through a graduate student that I had tutored from time to time. As related by him there was no interest by his professors. Several months elapsed and on the ascendancy of the Hon. Portia Simpson-Miller to Prime Minister of Jamaica I sent a letter asking her to direct that the research be done by the university. I did not get even an acknowledgement of the letter. Subsequently I sought other sources of help but not one panned out. The idea became dormant as I continued my research and intellectual activities on other aspects of the energy challenges faced by Jamaica. Some eighteen months later (Jan.2008), after the inauguration of Prime Minister Bruce Golding, I again via a letter sought the patronage of the Prime Minister of Jamaica to direct that the research be done. Ditto. No acknowledgement, no interest. After giving so much thought to this idea it now seems so pedestrian or commonsensical to me. These insects must manufacture a powerful enzyme to digest or metabolize wood or carbohydrate to provide the energy needed for their functioning with the most readily available and compact form being energy as simple sugar molecules. What is the molecular formula of this enzyme — is it knowable? Certainly it is and uncovering it, and more importantly, to synthesize it in a mass production process opens up a treasure trove of wealth-producing activities for our people, as we can then produce butanol, ethanol and a host of valuable chemicals from a plethora of readily available biomass sources. I have given up on trying to convince the establishment in Jamaica and am considering exploring the possibilities in more intellectually fertile climes. I can assure you, if we do not act others will, as the idea is so simple that it is only a matter of time before others stumble thereupon, and thereafter we will find our people, as usual only consumers of technologies, with the lion’s share of the benefits redounding to others more sagacious. Trevor Bogle is also known as EnergMan, committed to taking the science of energy to the Jamaican (Caribbean) people.